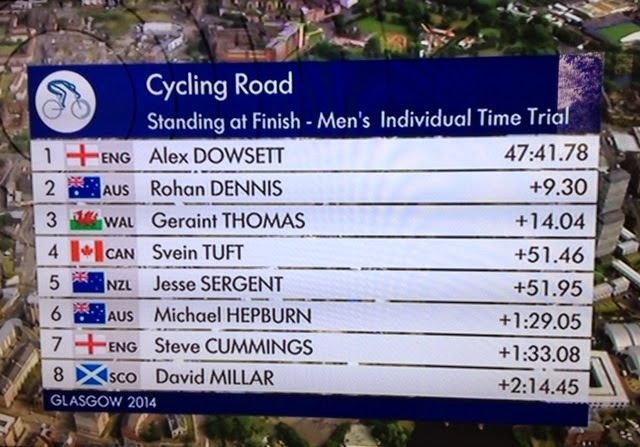 My viewing of the Games was restricted to the Men’s Cycling Individual Time Trial event. 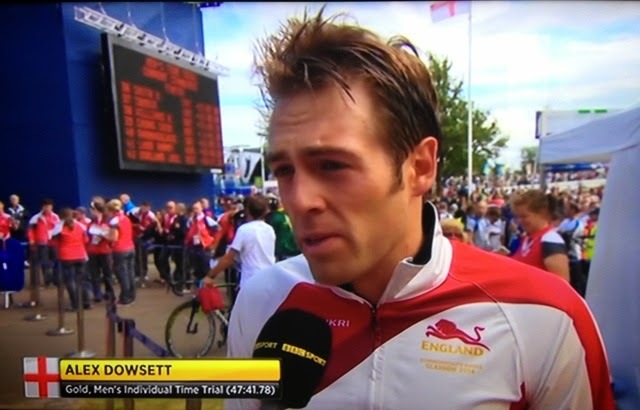 The Englishman Alex Dowsett very cleverly tailored his performance to suit his style by setting off at top speed, then on the climb to the mid point he conserved energy for a very fast downhill finish. 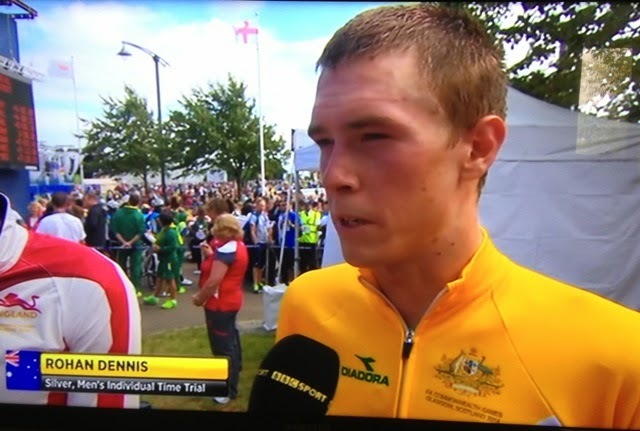 The Australian, Rohan Dennis at the mid point of the 38.4 kilometre course was a good six seconds ahead, and it looked as though he would win the gold. 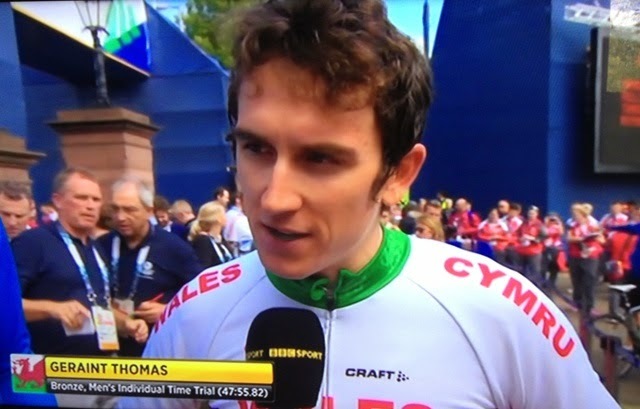 Welshman Geraint Thomas put in an excellent performance to come third for the bronze. There were only fourteen seconds between first and third, which made for a very exciting finish. 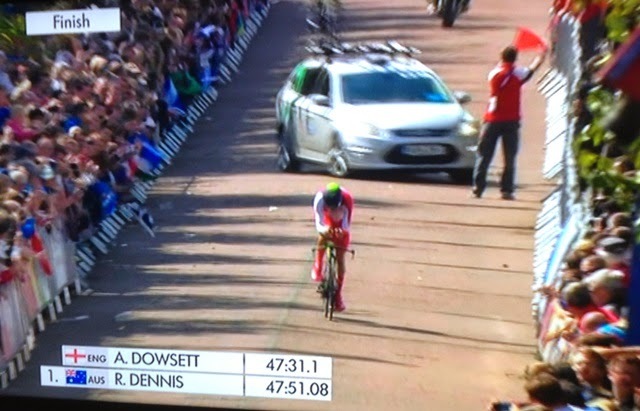 Dowsett's average speed was 48.59 kilometres an hour, which was quite phenomenal over a terrain that included rough patches of road, many twists and turns and a far from flat course. 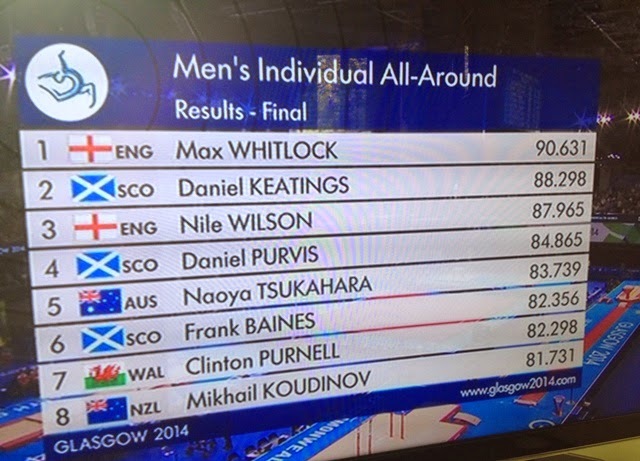 This afternoon the Men’s Individual All-Around Gymnastics competition was highly competitive. 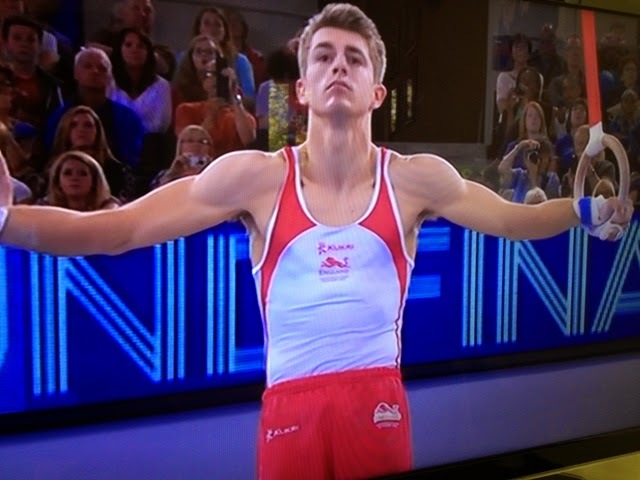 The favourite, Englishman Max Whitlock, proved he was the best with a winning score of 90.631 which was 2.333 above Daniel Keatings score. 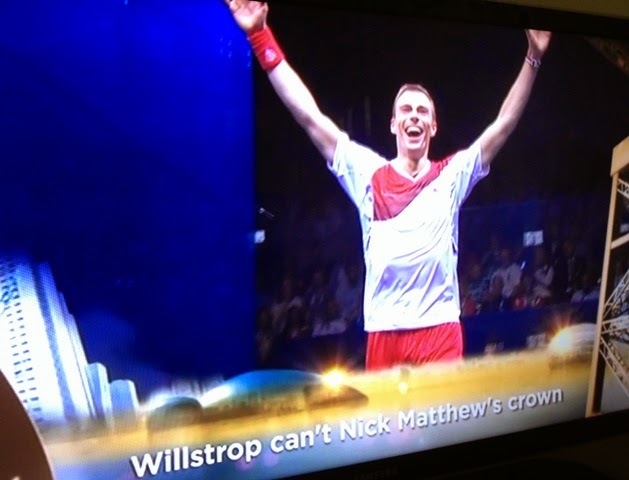 Young Englishman Nile Wilson came third with only 0.333 of a point between him and second-placed Keatings. 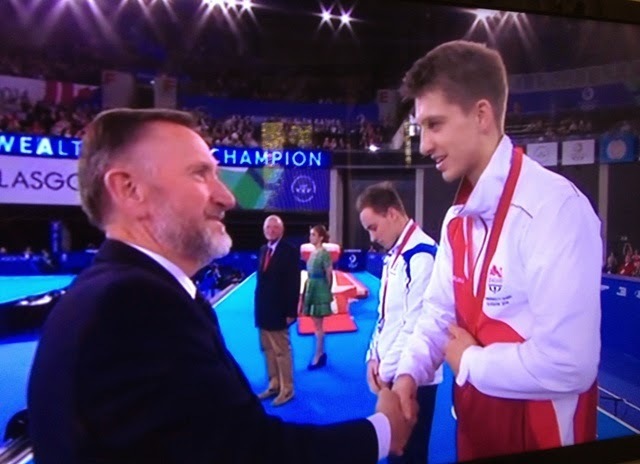 All three medallists deserved their rewards by putting on exceptionally fine displays. 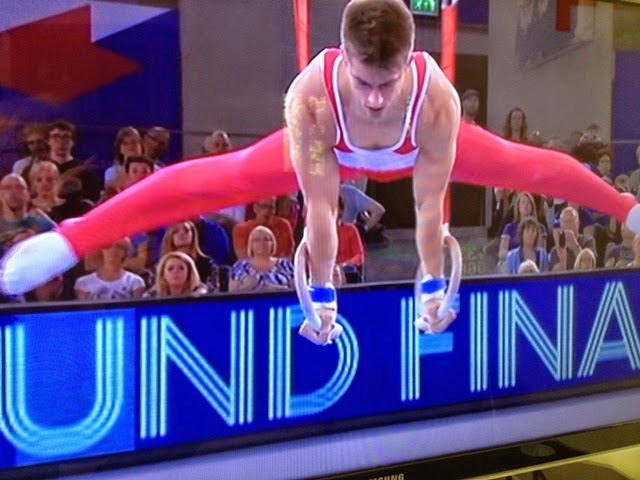 The women’s Flyweight Boxing quarter finals took place at the same time as the gymnastics. 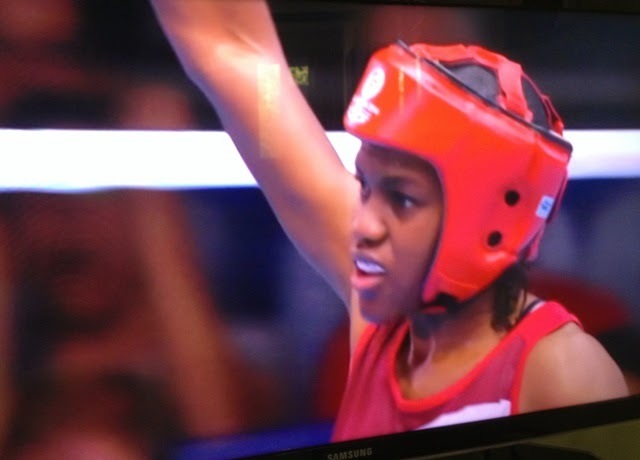 English boxer Nicola Adams overcame E. de Silva in a four round contest. I’m not a fan of boxing, but I have to admire the guts of those who engage in the sport, but punching an opponent for fun is nonsensical to me. To see women doing it, truly amazes me. I’ve had my own games today looking after a very energetic great grandson. 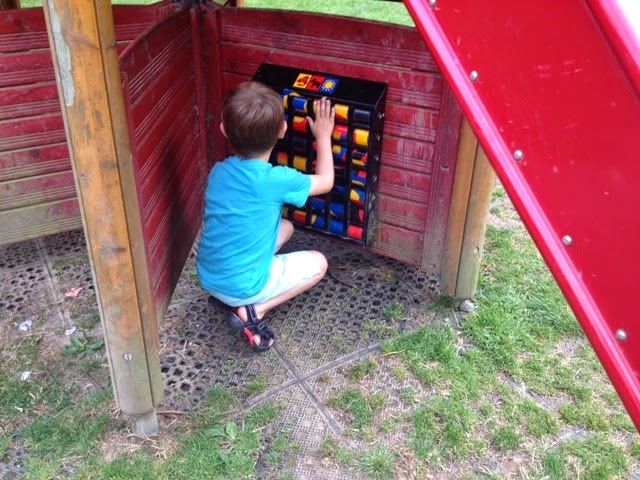 We’ve had ball games in the garden and adventure play in the local park. 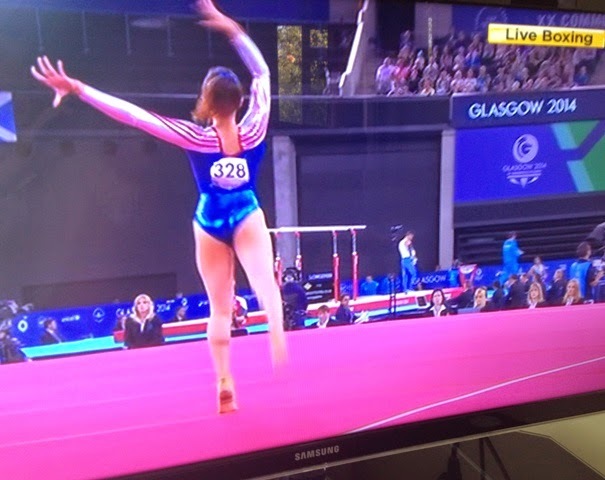 As a result of being occupied with my own games management, I only had time to watch a half-an-hour of TV featuring women’s gymnastics. 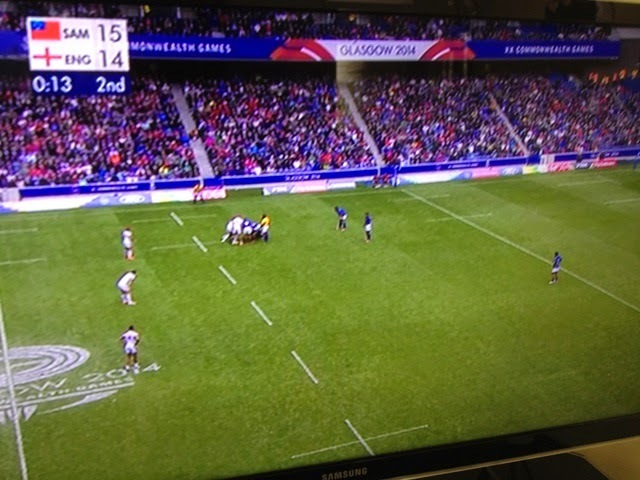 In that short viewing I saw incredible action from the Scottish and English teams. These young women were unbelievably fit, agile, graceful and very brave. 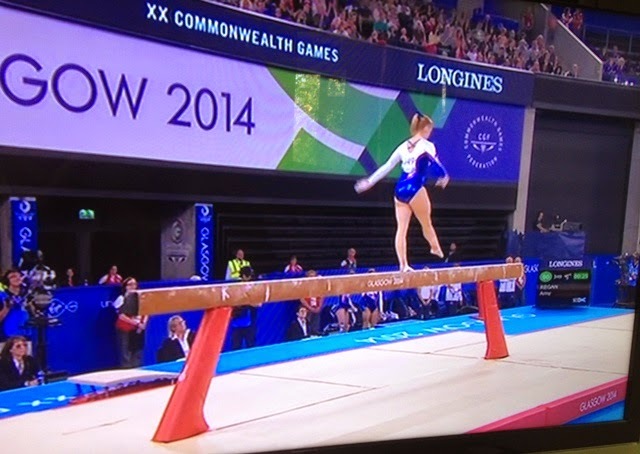 To achieve routines on the beam and floor involving flips, somersaults, and tumbles takes a lot grit and abundant energy. Another great day for the Games – the weather played ball, as did those engaged in ball sports. 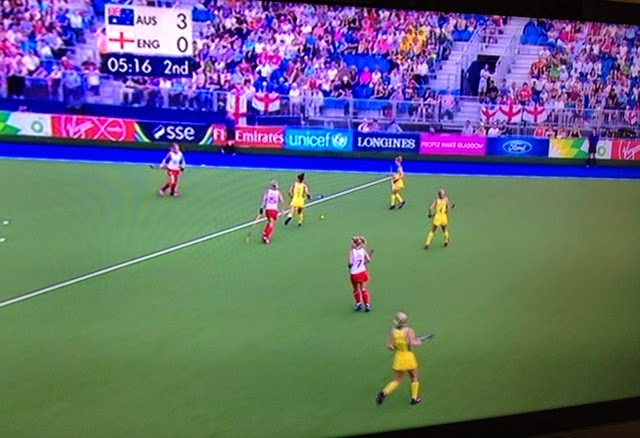 The Australian Women’s Hockey team overwhelmed England 3 -0, but if England can beat Scotland on Wednesday, they will be in the semi-finals. 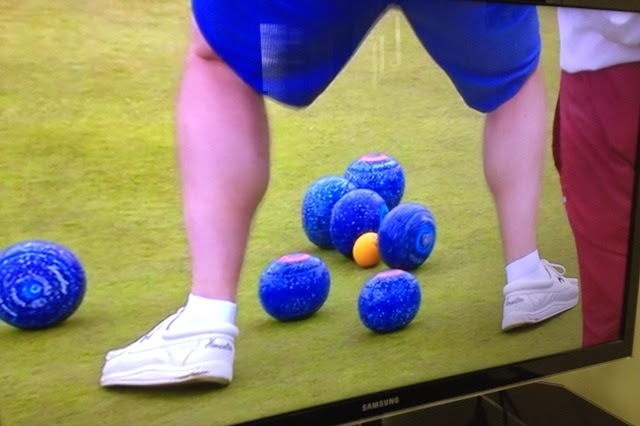 Alex Marshall and Paul Foster, representing Scotland in the Men’s Pairs Lawn Bowls event overpowered the Malaysians with a score of 30 -3. 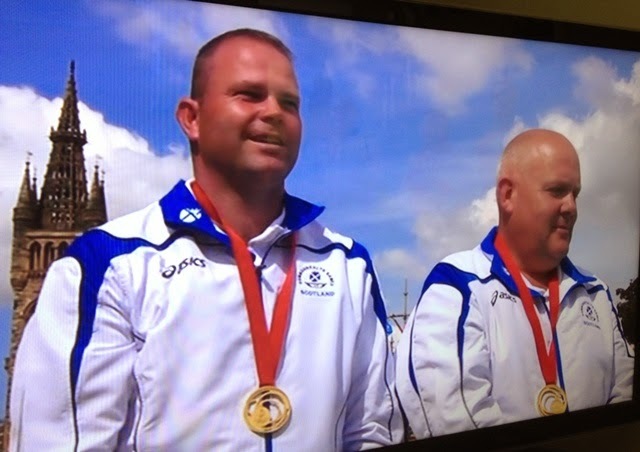 The Scots won gold medals in the Melbourne Commonwealth Games in 2006. 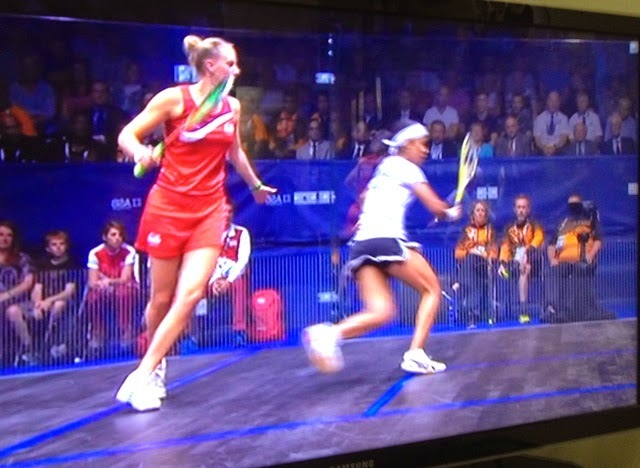 Nicol David for Malaysia and Laura Massaro for England, battled for gold in the Women’s Squash Singles finals. Second seed Massaro, lost to the favourite, first seed David: 12 – 10, 11 – 2, 11 – 5. Many other sports were played. One thing that struck me was the perseverance of older competitors; those who had participated in previous Commonwealth Games. 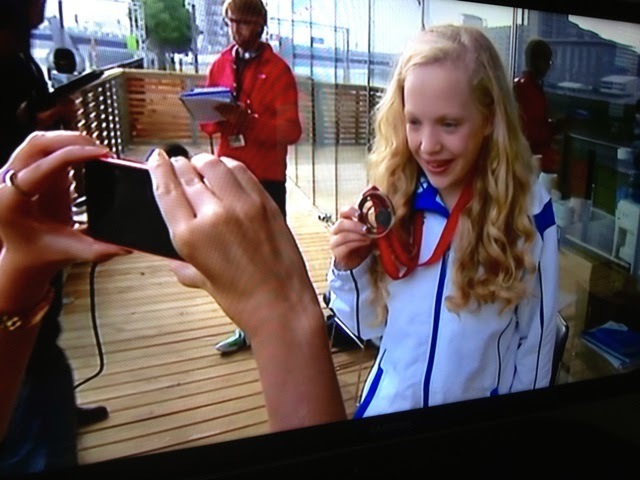 Yesterday, Erraid Davies, a 13-year-old swimmer from Shetland, won a bronze medal for the para 100 metres breaststroke. 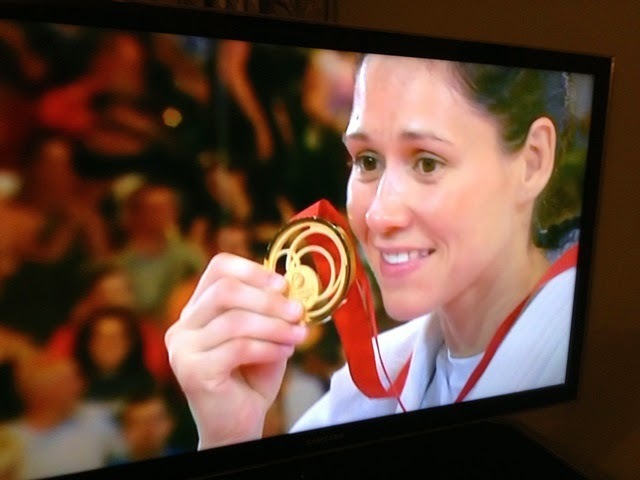 She’s the youngest medal winner in the history of the Commonwealth Games. As a TV spectator, I’m enjoying the spectacle, which is free of charge, with in-depth commentaries, close-ups of the action, and slow motion shots of important happenings. This is the fourth day of the Games, and what a day it has been so far. 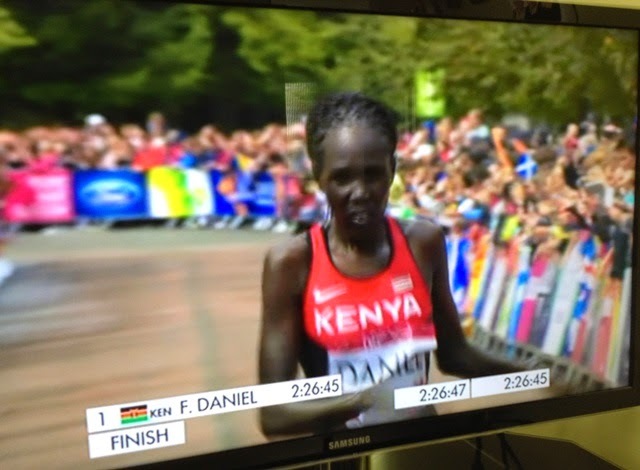 The men’s marathon was won by the Australian Michael Shelley, in a time of two hours, eleven minutes and fifteen seconds, and the women’s marathon was won by Kenyan Flomena Daniel in two hours, twenty six minutes and forty five seconds. Loads of other competitions took place, including the quarterfinals of the Rugby Sevens, the shooting finals of the men’s and women’s Double Trap, the men’s One Hundred Metres Round One races, and the men’s doubles Bowls final won by Scotland against England. 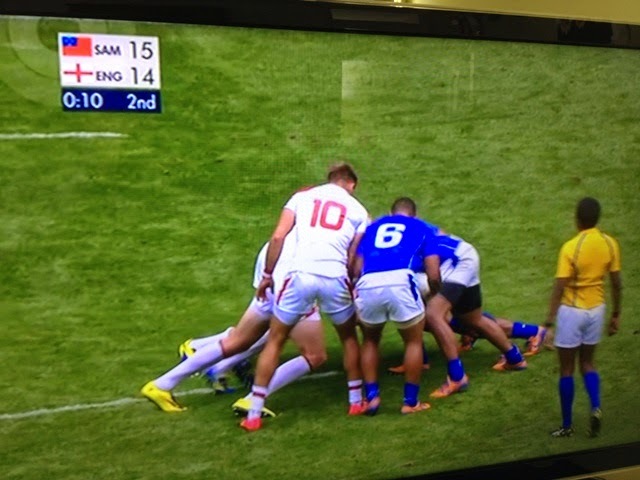 I’ve not been glued to the telly all day; in fact no more than couple of hours, but what I have seen via the box, is men and women in their physical prime, achieving their very best. Many will go away disappointed because they were not medal winners, but the majority will feel they have achieved something way above the humdrum. For me, the big event of the day was the mixed relay triathlon which saw teams of men and women competing in three disciplines: swimming, riding and running. 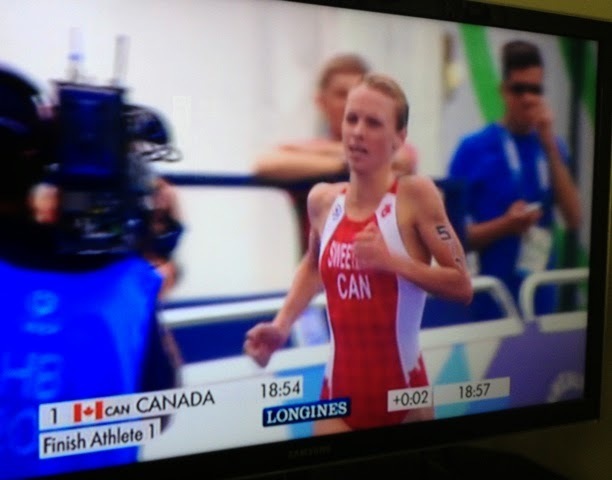 Competitors had to swim 250 metres, then ride bicycles for 6 kilometres, and finally run 1.6 kilometres. 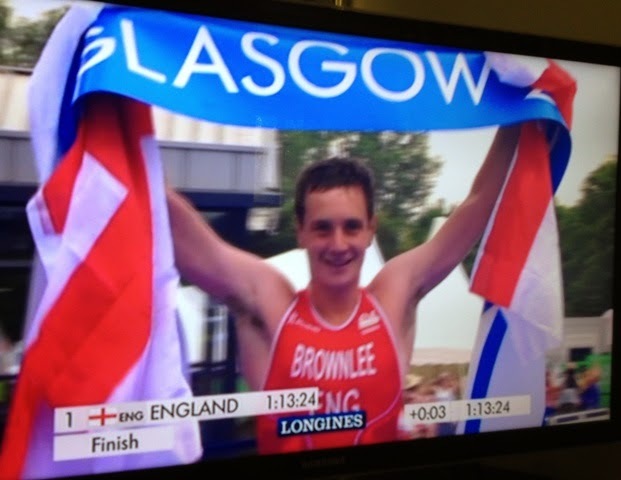 The English team of four were Vicky Holland, Jonnie Brownlee, Jodie Stimpson and Alistair Brownlee. 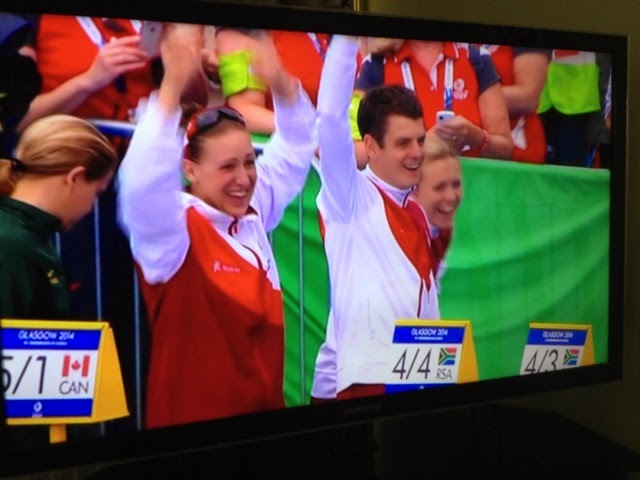 Jodie and Alistair had individually won gold medals on Thursday. All four athletes performed well to the effect that their combined effort and determination resulted in a win for England. I was amazed at their incredible fitness. All their hard training paid off. These Games do not disappoint. They have made a cracking start. Yesterday and today there’s been plenty of drama. 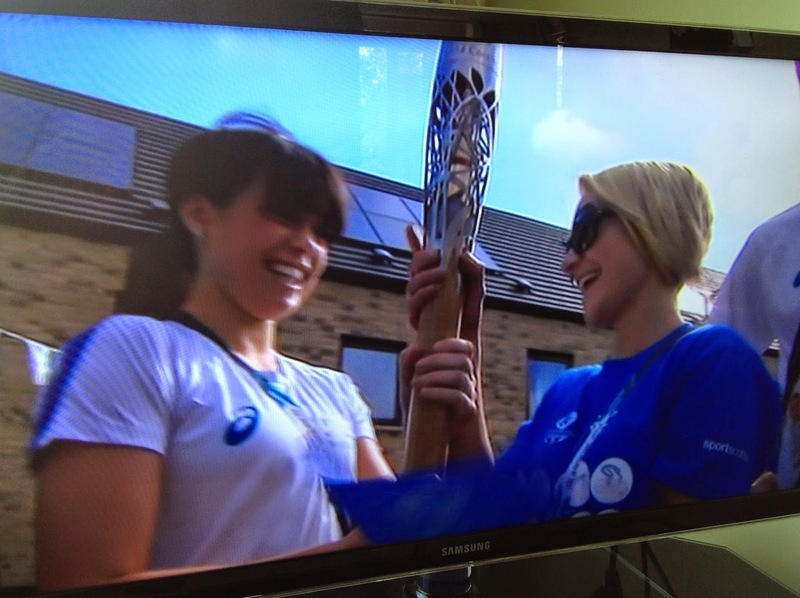 Yesterday Louise and Kimberley Renicks both won gold medals for Scotland in their classes at Judo. 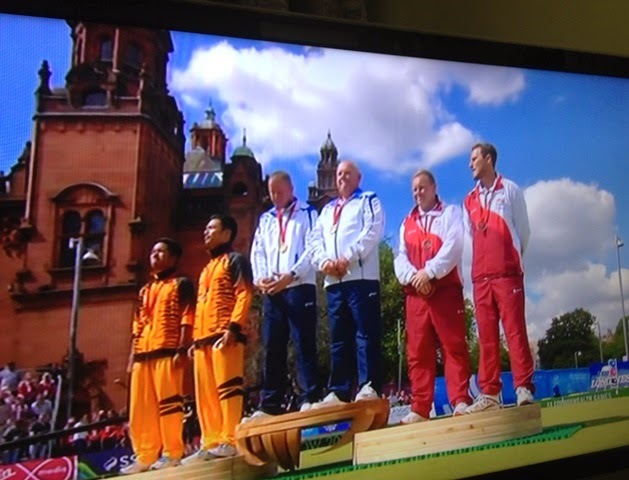 Colin Oates for England won gold in the 66kg Judo class. 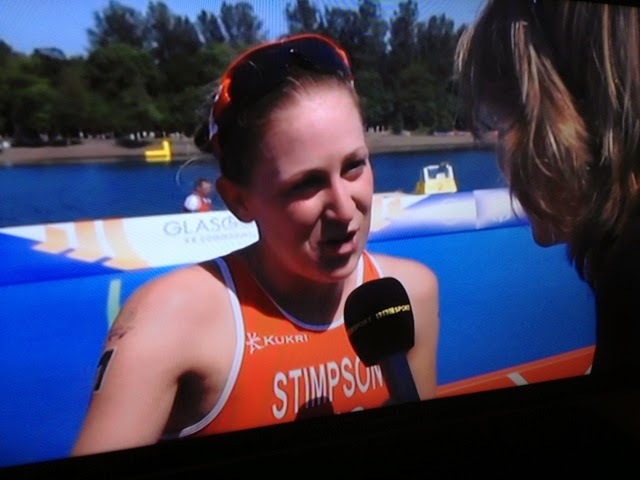 The women’s Triathlon was magnificently won by Jodie Stimpson for England. 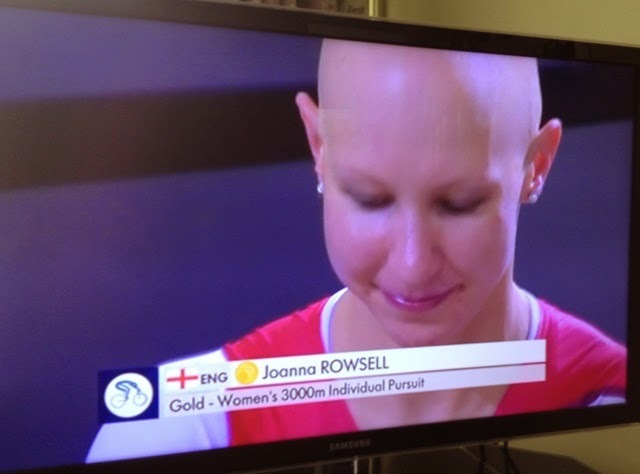 This afternoon Joanna Rowsell came first for England in the Women’s 3,000m Individual Cycling Pursuit at the Sir Chris Hoy Velodrome. 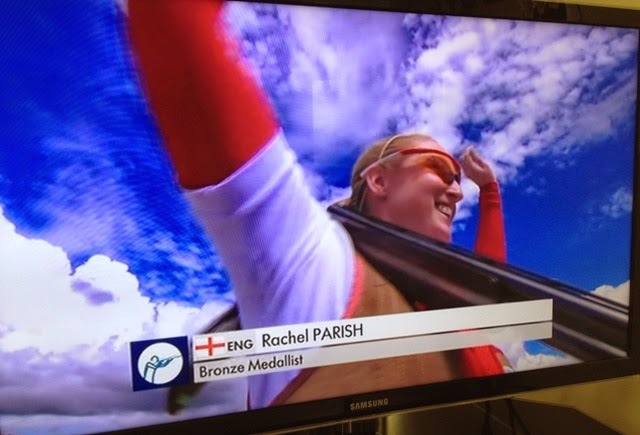 At the moment England stands top of the medal table with 11 Gold, 10 silver, and 7 bronze. 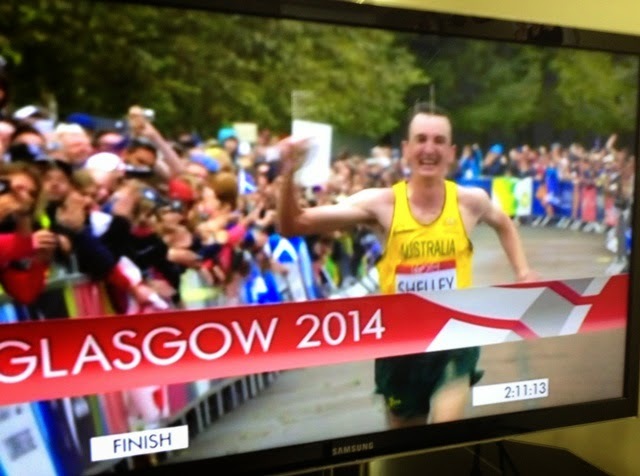 Australia is second and Scotland third. 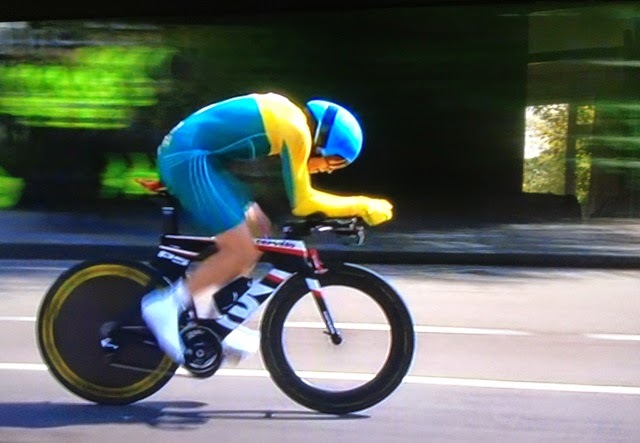 Here are a few photos taken of competitors as seen on my TV. 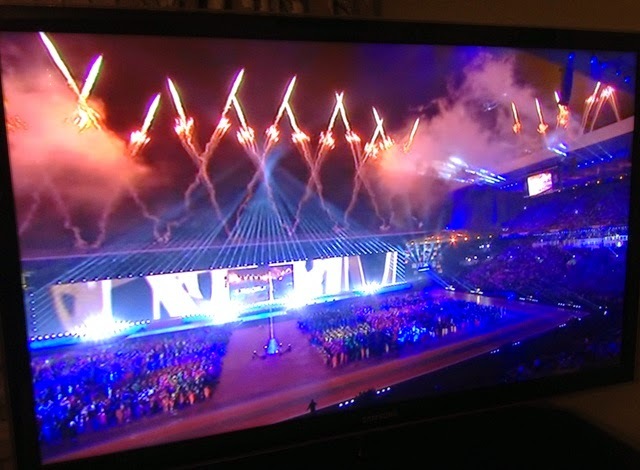 Yesterday evening there was a fantastic opening to the Commonwealth Games. I found the presentation original, colourful and highly entertaining. The thematic scenery featured images of Glasgow and Scotland, and the music, singing and dancing had a Scottish flavour. Everything was vibrant. There was an enormous screen along one side of the stadium that was used to good effect to project realistic and beautiful abstract images. 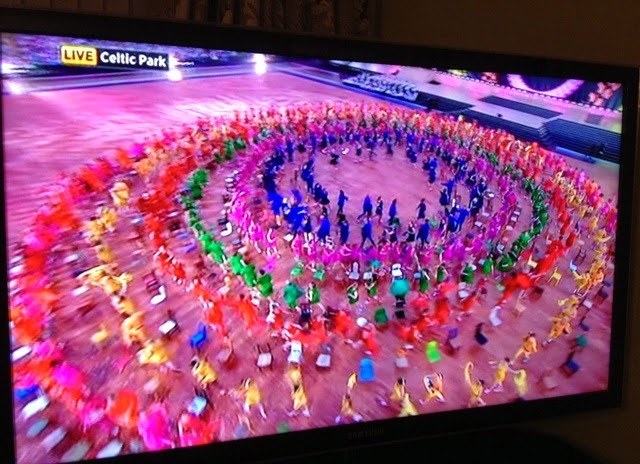 There were two, interlocking themes: Welcome to Glasgow, and Put Children First. The latter was focussed on children in need within the Commonwealth. Instead of being forgotten at the bottom of the pile, they were to be put first by raising money for them through an instant appeal to TV viewers all over the world. 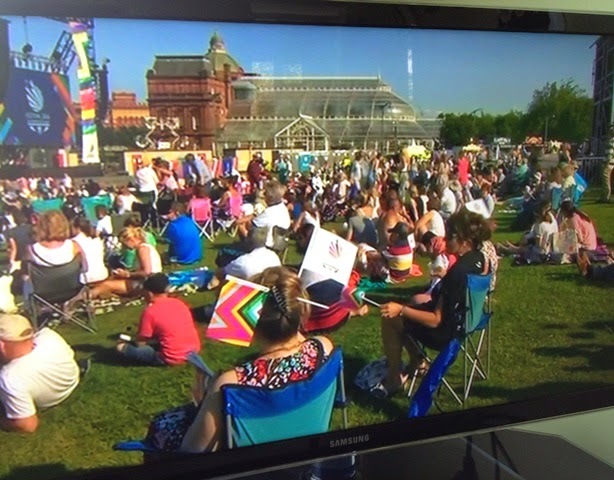 Viewers at home and spectators at the stadium were encouraged to donate £5 by texting ‘FIRST’ to 70333. This was to be an instant, coordinated attempt at raising millions of pounds for improving the lot of poor and vulnerable children. The whole fundraising project was organised in conjunction with UNICEF. At the present time 3.1 million pounds have been raised. 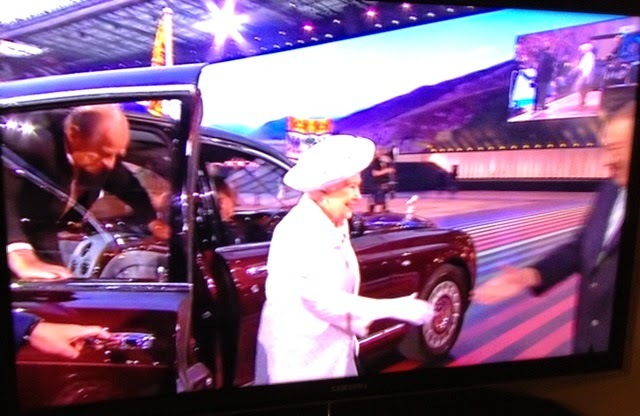 The Queen and Prince Philip arrived in style in their sumptuous Rolls Royce. Amid tumultuous applause they proceeded to the royal enclosure with Prince Imran of Malaysia, President of the Games. 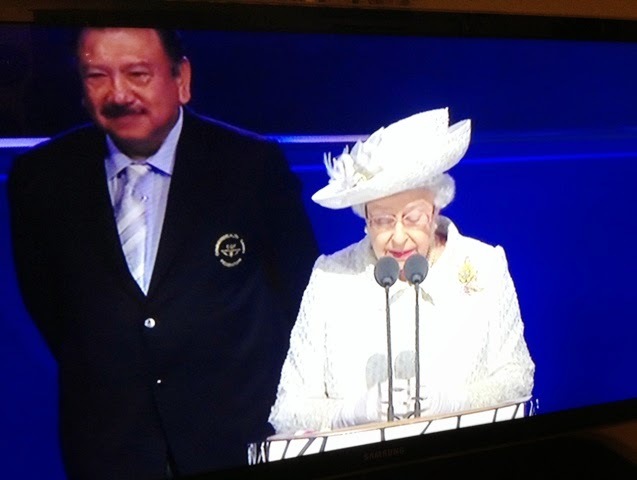 It was his task to deliver an introductory speech before the official opening of the Games by the Queen. After an accomplished and eloquent delivery, he tried to prise the lid from the Queen’s baton to remove a copy of the Her Majesty’s speech that had travelled within the baton to 71 competing nations. At first the lid would not budge. Sir Chris Hoy gave a hand, but to no effect; finally, to the cheers and relief of all, the lid was opened by the Prince and the scroll was passed to the Queen. I had expected to be bored with the long parade of competitors, but they were dressed in national costumes or distinctive attires, and they showed their joy and pride as they paraded before the assembly. Instead of being bored I was fascinated by the jubilations. At the end of the ceremony there was an extremely noisy, colourful and lively firework display to provide a fitting ending to the evening. P.S. I am disappointed to discover that there will be no rowing or sailing at these Games. They are not designated as ‘core’ sports; therefore they can only be included at the discretion of a host city. 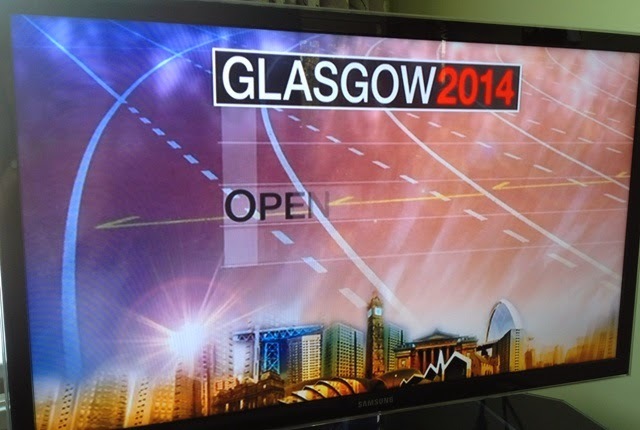 At 09.00 this evening, the Queen will open the 20th Commonwealth Games at Celtic Park, Glasgow. Scotland will host this 11 day festival of sport in which approximately 6,500 athletes from 71 nations will compete in 17 sports for medals to be awarded to individuals and for team events. There are thirteen venues where the games will be held. Hampton Park, famous as a football stadium, has been adapted for track and field events. This was no mean feat, because a new surface had to be built 1.9 metres above the ground. 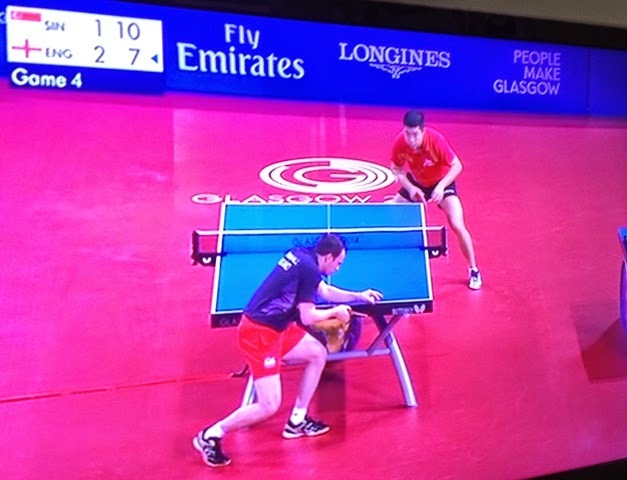 Other venues include Tollcross International Swimming Centre, Glasgow National Hockey Centre and Kelvingrove Lawn Bowls Centre. Strathclyde Country Park, which is 14 miles from the centre of Glasgow, will be the location for the triathlon. The Royal Commonwealth Pool, at Edinburgh, 45 miles to the east of Glasgow, will be used for diving events. Uniquely different to the Olympic Games, the Commonwealth Games are known as the ‘Friendly Games’. 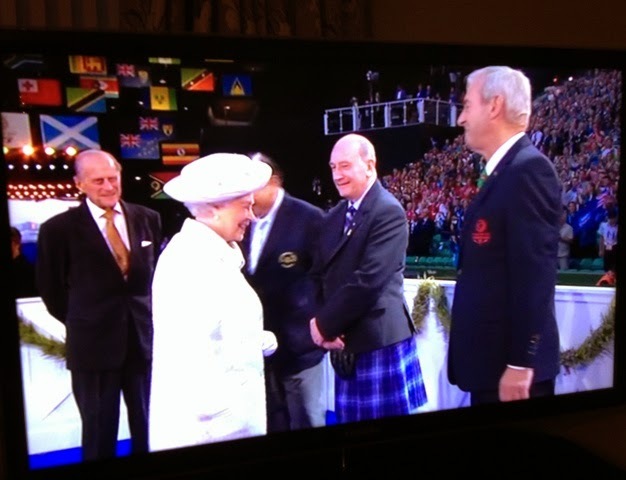 Friendly because participants represent member nations of the Commonwealth, all of which recognise the Queen as Head. 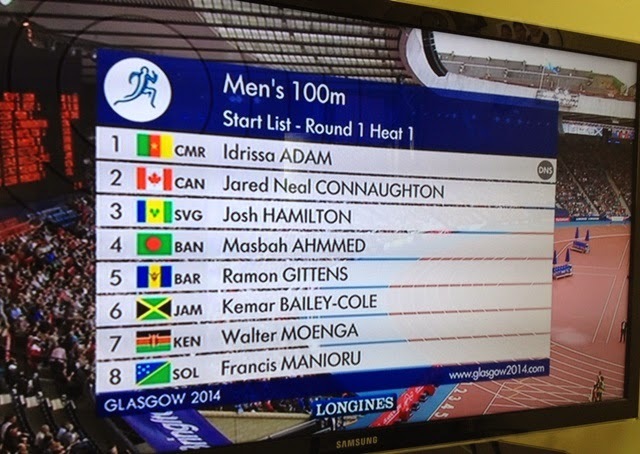 I’m looking forward to seeing the Games on TV. 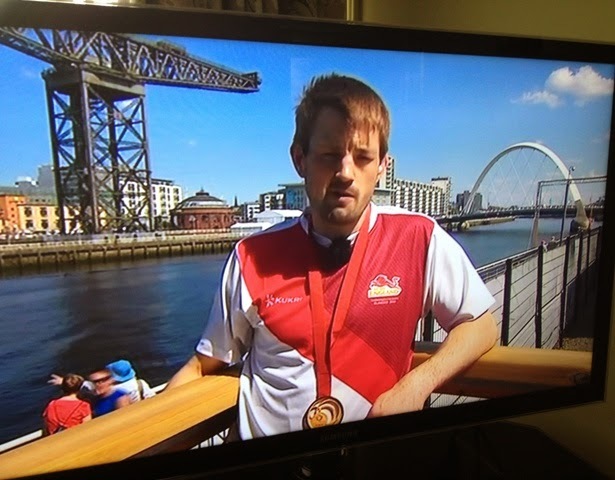 Of particular interest will be the rowing and sailing events. This is the two thousandth edition of Bill’s Log. I’m celebrating the occasion by dedicating today’s article to my long suffering wife who may see herself as a Blogger’s widow. The biblical definition of ‘long suffering’ is ‘patient’, and indeed, she is very patient. She has many wonderful attributes. 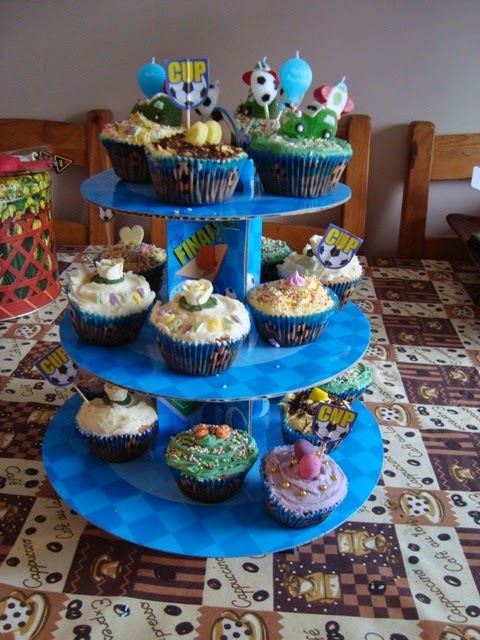 One that gives me great pleasure is her ability to cook and decorate all manner of cakes for family and friends. She is a perfectionist who is only satisfied with the best. I’ve known her to put cakes aside because of the smallest blemish, but I’ve usually ensured that discarded cakes didn’t end up in the bin. Mostly they tasted pretty good to me. 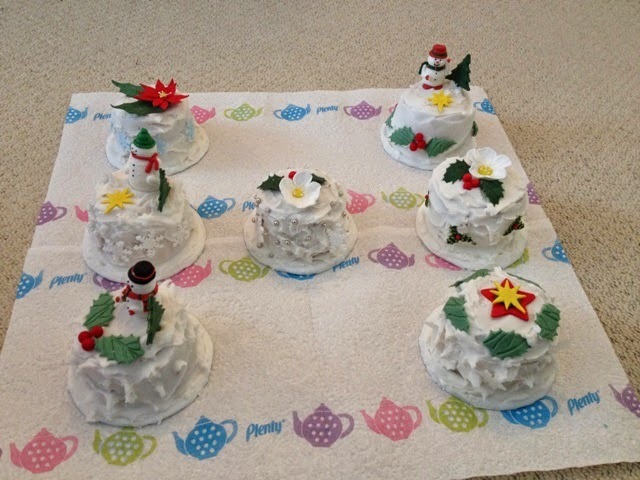 In times past she has undertaken ambitious projects, even a wedding cake with the most elaborate icing decorations. 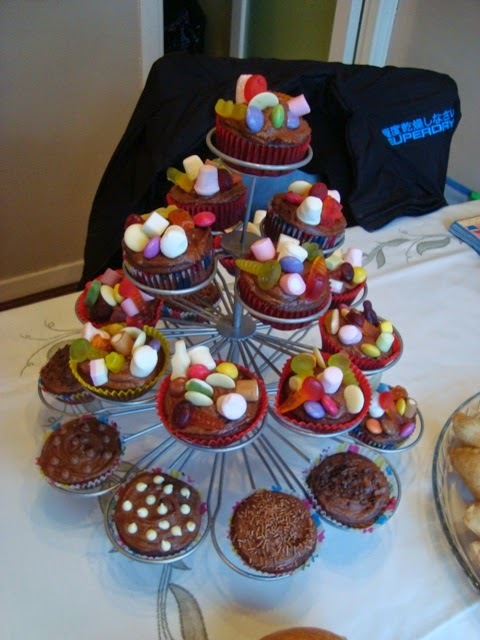 These days, she makes cup cakes and pop cakes which are less demanding for her to do. These edible mouth-watering jewels of creative confectionary miraculously appear on the table at Christmas, Easter and when there are birthdays. 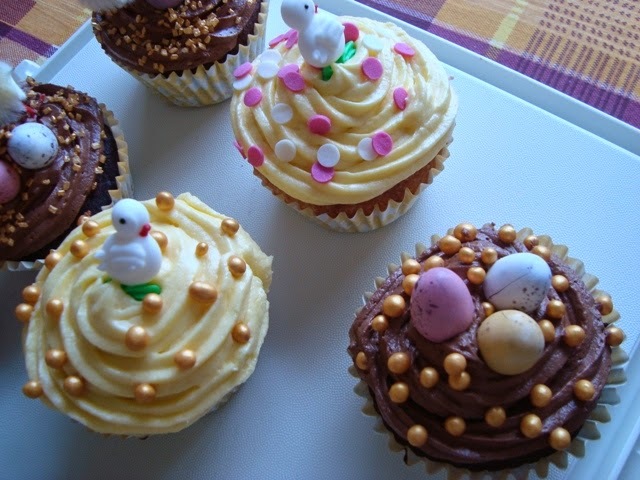 Cup cakes are the grandchildren’s favourites. I have a penchant for them too. If they are left where they can be seen and touched, they mysteriously disappear. For this reason, as soon as they are made, they are packed into special plastic containers where they remain until the appointed time. Finally they are displayed on stands or set out on trays or dishes where they become the centrepiece and focal point of the table. So, thank your wife. You gladden our hearts and your cakes bring us delight. Thank your readers for sticking with me. Knowing the time can come at a price, but not for Crocodile Dundee who looks at the sun and tells the time for absolutely nothing. By this means he can do it accurately to within a second of Australian Eastern Standard Time. Of course, he lives with crocs in the mangrove swamps of Oz where the sun shines all the time. 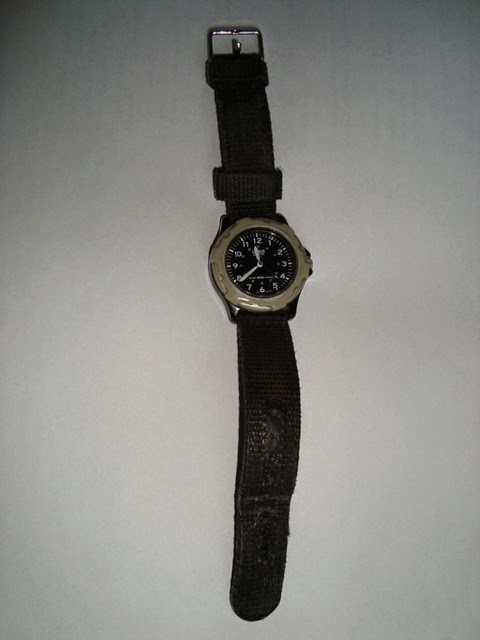 I live in the concrete jungle of Essex where the sun occasionally shines, but even I can tell the time for next to nothing by looking at my Lorus Sports V 501-X22 wristwatch. This quartz cheapie cost only a few pounds, ten or so years ago, and a packet of LR 626 batteries I bought eighteen months ago cost a few pence. They will keep the watch going for the next 40 years! Even now, twenty LR 626 batteries can be had at Amazon UK for just £1.47. 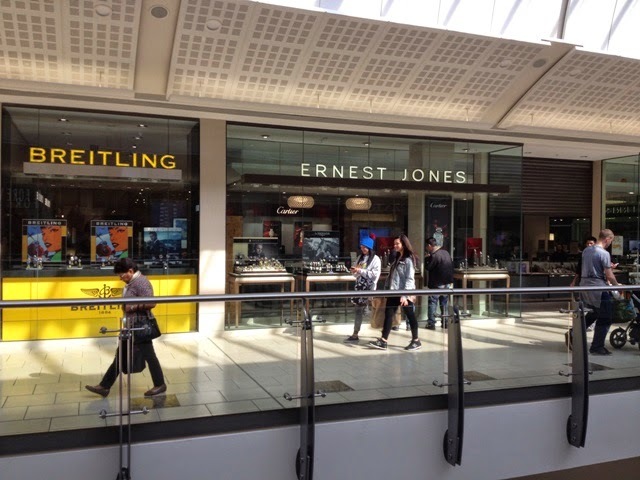 Not so long ago I was at Lakeside where there are a number of shops selling wristwatches, and I was astonished to see that a Breitling watch can set you back £9,500. 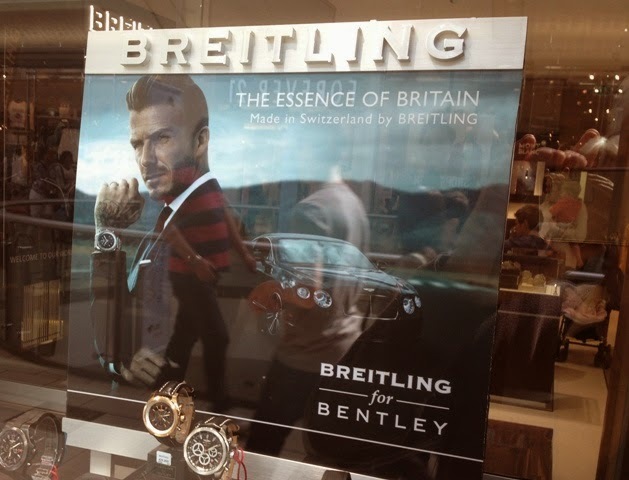 No doubt, part of the cost is for paying David Beckham to pose for photos of him wearing their watches. TAGHeuer watches are cheaper, in the region of £6,000. 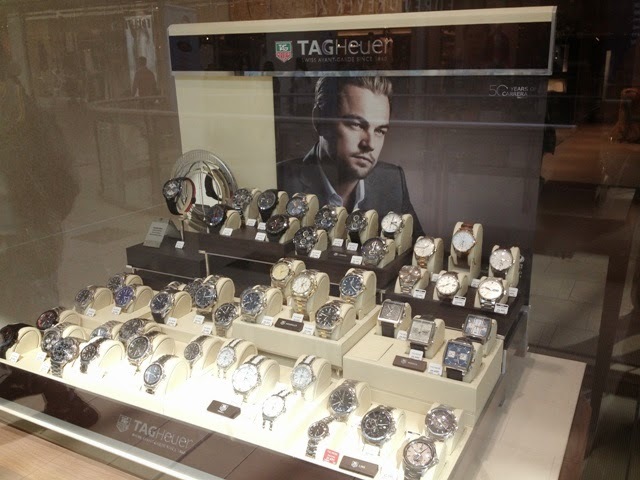 Presumably Leonardo DiCaprio, whom the latter use on their advertising material, is cheaper to hire than Beckham. Of course, most people today can know the time accurately by consulting their mobile phones at no extra cost.